Cyber-attacks are becoming more frequent and harder to identify which means cyber security is now a necessity for all firms rather than a luxury as it was once viewed. The government is concerned and has set up a self-funding body ‘the Information Commissioner (ICO)’ to which all data breaches must be reported. Failure to comply with the new GDPR legislation, which includes notification to customers and the ICO of data breaches could result in fines of up to 4% of your global annual income. To help companies tackle the issues of cyber crime the government has introduced Cyber Essentials. The aim of this industry-supported scheme is to help organisations protect themselves against common online threats. The Cyber Essentials programme will help safeguard your company and your customers from cyber crime and the financial impacts that can come with it, It provides a set of processes and policies that if followed will deliver a level of security. The Cyber Essentials + programme includes a penetration test at least every year to test the vulnerability of your companies data. In addition, there are some softer benefits that come with Cyber essentials, such as reassurance for customers that you take the threat of cyber crime and the protection of their personal information seriously. 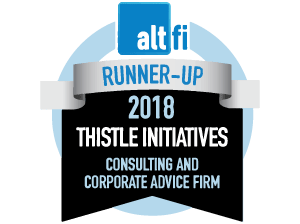 How can Thistle help you? Bug detection where we scan your offices and machines for listening and tracking devices.